The take-up of today's EVs has a lot to do with lithium battery technology's advent. McKinsey & Company confirmed that lithium-ion battery prices could drop significantly by 2020, foreseeably disrupting the petroleum, transportation and power sectors. In 2018, lithium-ion battery packs less than $200 per kilowatt hour—the McKinsey thought that price would drop to about $200 kWh by 2020 and $160 by 2025. With lithium-ion battery technology conceivably approaching its own Moore’s Law ceiling, researchers are branching out to pursue technologies. Germany has responded by earmarking EUR 1 billion to aid a consortium to produce battery cells for electric cars and fund a research center to build solid-state batteries of the next generation. Berlin’s initiative to shape its battery manufacturing industrial policy marks a break with its typically "hands-off" strategy to policy decisions and is part of European efforts to forge battery alliances to counterbalance Chinese, Japanese, and Korean firms’ dominance. The initiatives were intended to reduce German carmakers’ reliance on battery suppliers for Asian electric vehicles (EV) and protect German jobs at risk from the shift away from combustion engines. Furthermore, politicians in Germany are supportive of the Angela Merkel initiative of pushing Germany forward in EV manufacturing. With this initiative, Germany will lay the ground for large scale battery manufacturing in Europe, which will give Europe the much-needed Beverly to face the existing competition in the market. 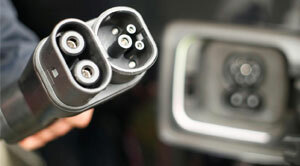 Guaranteeing the involvement of local firms throughout the supply chain of electric vehicles is vital for Germany since car manufacturers have become economically dependent on the success of its automotive industry. However, the car battery push from Germany might be too late. Asian market leaders are increasing output, and some experts believe there is a significant risk of a glut that might impede European newcomers from establishing large-scale battery cell production. An initiative is always welcome in the market, though Germany’s entry in the EV space might be late it will be helpful for Europe as a whole. Germany’s initiative can also give much need cushion to the European car manufacturers since their dependence on Asia will be reduced. Also, the whole supply chain will be based in Europe itself ensuring car manufactures get a regular battery supply.